Blur the appearance of pores and imperfections with Balancing Act, a translucent Skin-Perfecting, and Mattifying Shine Control Powder. What it is: Balancing Act is a translucent Skin-Perfecting and Mattifying Shine Control Powder that keeps shine at bay and blurs the appearance of pores and imperfections without adding coverage. What it does: Balanced skin feels closer than ever, thanks to Balancing Act. The unsung hero of any makeup routine, this sheer, Mattifying Shine Control Face Powder seamlessly keeps shine at bay without adding coverage. You’ll love the versatility of the dual-use formula that subtly blends into skin to keep it flawlessly matte. Plus, this translucent face powder contains our skin-perfecting Ceretin® Complex and skin-nourishing Energy Complex that’s made from a delicious combination of green tea, ginseng and vitamin B. Designed with a mosaic of neutral hues suitable for all skin tones, Balancing Act is a genius at helping to keep excess oil at bay. Use powder alone to mattify the look of the skin, blur the appearance of pores and imperfections and minimize the look of fine lines. Apply the setting powder over foundation to control breakthrough shine without looking dry or flat. Never cakey or heavy, its silky texture makes it an ideal touchup powder that can be used with or without makeup for an airbrushed finish. Using the Blurring Powder Brush, lightly sweep Balancing Act over any shiny areas on the face for a fresh, natural-matte finish. Apply a generous layer of Balancing Act to the center of your forehead, the bridge of the nose and your chin. 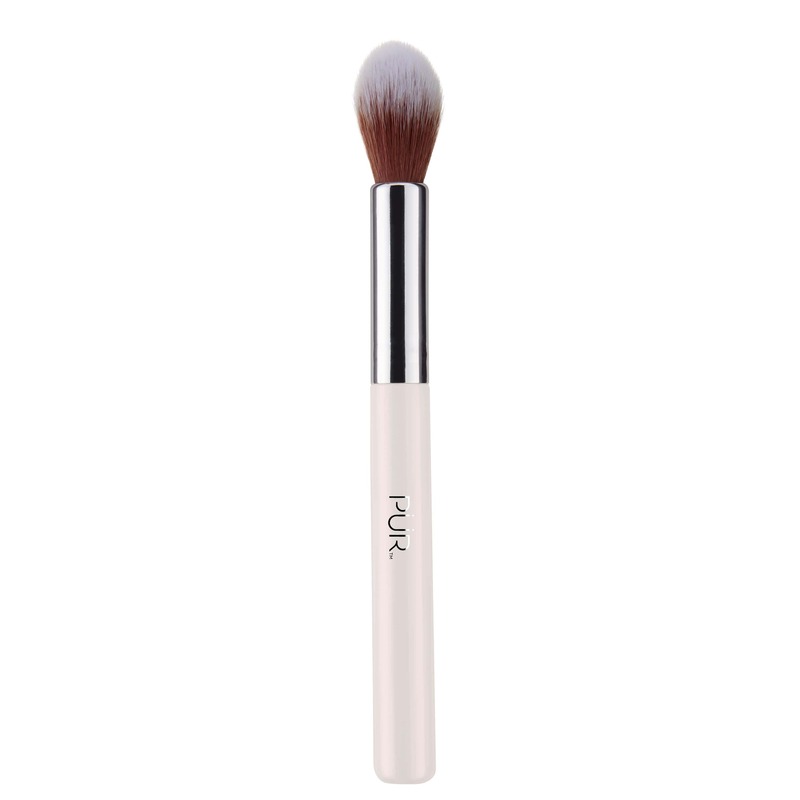 Let it "bake" for a few minutes before wiping away any excess powder with a large, fluffy powder brush. This trick will keep you shine-free all day long! Great solo or touch up powder! This is such a great powder to wear on "no makeup" days when I need to control my oily skin and also to touch up makeup if I start to get shiny. It works for a long time and instantly mattifies without making my face look cakey! This powder makes my skin look so soft! Best powder I’ve ever used! Great product. Eliminates shine all day. Does not flash and keeps skin smooth and shine free. It’s very lightweight, smells great, and is a really nice way to finish your look and get rid of shine. I love it! This as with all of PUR products is amazing! I use the 4 in 1 stick foundation, concealer and use this powder as my setting powder. I love the way the products feel. They are light and rich in ingredients. The colors are perfect and it stays all day! I use this daily over my CC cream. It smooths perfectly and lasts all day. Hope they always offer this! Wonderful product! A “must” for every girls’ makeup bag! I LOVE this product! I have purchased before, used the entire compact, and this is my second compact! I am 68 years young- the PÜR products are amazing and I get so many compliments on my skin and makeup. I never look chalky or like I have “cakes” of makeup. I always look natural- this product “sets” the makeup for all day lasting look! Great product to cover up rosacea! I have used Pur Minerals for 10 years, I have rosacea and these products cover up my imperfections leaving my skin silky smooth. I would recommend any of there products. Love these products! 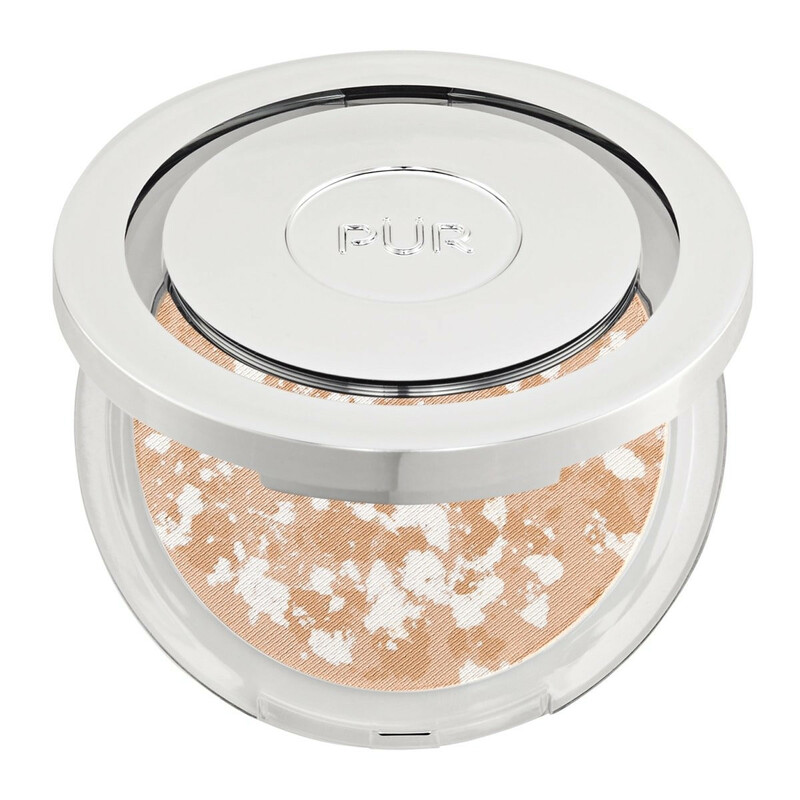 I love to finish out my makeup with this skin perfecting powder. The mixture of skin tone and white leaves a remarkable finish that give a smooth, matte finish and absorbs excess oil on my face. This powder is very natural looking and light. Controls oil well. I love the Perfecting Powder. It adds an all over perfection to my makeup. Light and oil absorbing.